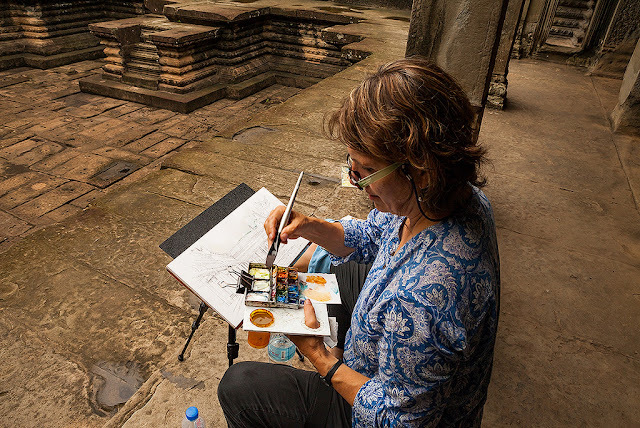 Have you ever wondered what equipment Urban Sketchers use on their travels? Well, I have bought and tried it all, hauled it to 5 continents, and I’ve seen what inventive things other sketchers use too. To help everyone get ready for their summer sketching, I’ll be sharing my best tips and tools, showing recent Italy/England/India sketches, and giving a quick demo at an open, free event at Daniel Smith in Seattle. 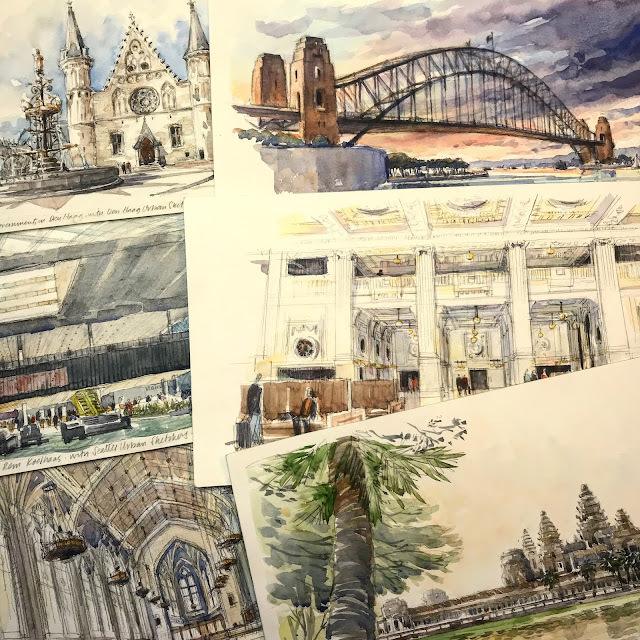 And come early, as the world-renowned watercolor artist, Alvaro Castagnet, will be giving a watercolor painting demo the same day from 11am-12:30pm. Thanks to Laurel Holmes for this photo taken at steamy Angkor Wat in Cambodia.